Earlier this year we brought you the news of hackers that had utilised an exploit in the Wii U and Mario Kart 8, a workaround that broke through older firmware and the system's internet browser. 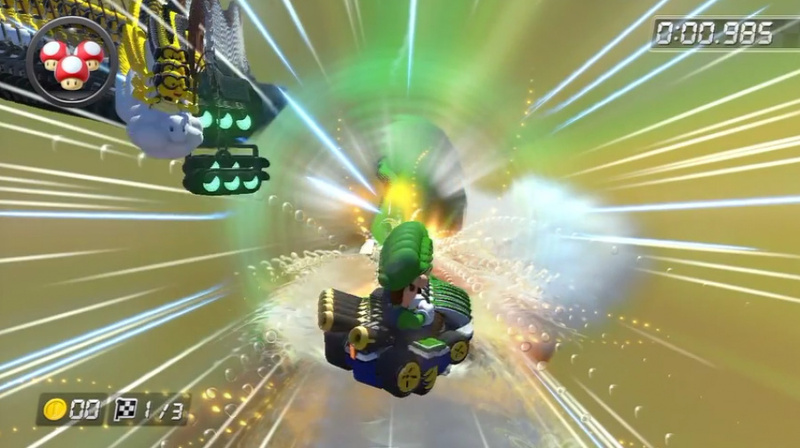 The first video showed the duo manipulating sound and text in Mario Kart 8, before changing fonts within the Wii U system itself. The workaround obviously has its limits, with Nintendo's system updates — that we often light-heartedly tease for their claims of 'stability' — clearly shutting down gaps in security. The MK8 modders — a term they prefer to the negative impression of being called hackers — have admitted as much in an interview with Kotaku. The Wii U was a bit of a fortress. Nintendo's really done a better job this time around. They [fail0verflow] broke all the way into the console. We stopped early. We could've gone on, but what's the point? As we've pointed out in previous posts on these mods and the videos showing them off, the duo messing around with MK8 are keen to ensure their work doesn't break the game and its mainstream online community. 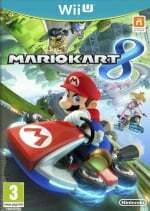 Recognising the errors of younger days and the relentless hacking of Mario Kart Wii, the duo's emphasized that it won't be responsible for the same happening in the Wii U game. We were the newbies at the time of the Wii. But when you look back on it, the game got pretty wrecked. Hacking became so thoroughly easy that it seemed like everybody started doing it. [Nintendo] didn't include proper protections, they didn't do x, y, or z to stop cheating. The modders are two brothers in the UK, but they're eager for their exploits to not interfere negatively in their lives, opting to use their online identities of Chadderz and Bean in the interview. It's always been made clear that the exploit used — primarily to have fun with the game — won't be distributed, with concerns clearly felt that their good intentions would be ruined in the wrong hands. Bean: —but how?. If you share something at all, you share it with everybody! Chadderz: The exploit will never leave this house. You can check out the MrBean35000vr channel to see some of the strange effects the duo has achieved. Are you reassured by these comments that the exploit and code won't be distributed, and are you confident that Nintendo's efforts to maintain security through firmware updates — largely successful so far — will continue to work? Let us know in the comments below. Thanks to Benson Uii for the heads up. Good. At least they are being responsible and understanding about what little immature rejects can do with it online. It doesn't matter if they don't want piracy to happen this kind of thing always leads to it. If they use it to uncover secrets and not cheats, I like hackers. @Jazzer94 And piracy leads to lots of console sales and lots of money. (Look at the PS2 and Wii / DS - High piracy but lots of money - Even the PSP console sales made Sony decent money). The 3rd parties lose out but there isn't really any on the Wii U.
Nintendo prevented this kind of stuff for a reason. Exploits are not what we need. If you want your game to be modded by the community you allow for that, and if not, you let the consumer decide if they still want your product. @unrandomsam - Your justification means nothing. Nintendo don't want piracy, and they have shown us as much. You can bet that they know what's best for their own company. You're also just making assumptions linking one fact to another. The DS sold well because it had 4 iterations and was a good console. Don't just assume piracy is helping Nintendo. They're the only ones that know if it benefits them, and its obvious by their prevention measures that it doesn't. Giving hackers a good name. Refreshing. More of this please. I've always thought hacking is wrong in any form regardless of the purpose or intent of it. I'm sure there are plenty of people out there in the world that can do this too. @unrandomsam Nintendo did still profit from the piracy-ridden Wii and DS. But they would have made MUCH more profit without the pirating. Your argument is completely backwards, undeveloped, and invalid. Maybe you're not big into the financial world, but companies tend to care about more than just, "Did this product make us at least one dollar?" @unrandomsam And piracy and hacking also destroyed both the DS and PSP's online the bad in my opinion greatly outweighs the good.. Thank god. I was worried they'd share it with the world. @Nintendo_Ninja Completely unrelated, but are you also on IGN? But it was like Nintendo Ninja 84 or something like that. It was a Tearaway video and I think it was a comment where I suggested they should give out a download code for the Vita game when you get the new PS4 game. If that was you... We meet again. Piracy is bad but would probably put an extra 5 million Wii Us in circulation! I hope they haven't made it easily available knowledge to hack MK8 because MKW online was a joke when the cheaters were in town. Nintendo need to add a 'kick cheat' button or just a report button. @Nintenjoe64 but then it would be miiverse all over again! It's not cause piracy that those consoles became popular, it's because they were popular that many hackers got interested to work around them. That is me! Yep. I'm a also on Gameinformer. In GameXplain tournament last week, I saw four bomb-ombs set off in a row, and only 2 people were in the area. @Geonjaha Doesn't matter what you think either. Only what the data says. (Even the PS3 picked up after being hacked). Hackers are a vital part in gaming. The most beloved kind of hackers are the ones, taking games apart to enable the community to apply translation patches and such. Without these people, games liek Mother 3 would still be unplayable by the majority of people. Its a double edged sword, that comes with many vital benefits for the scene, but could also destroy it in a heart beat. @Phantom_R That cannot be assumed there is no way to determine what quantity of people wouldn't have bought it without. The only reasonable comparisons are situations where it didn't happen to any real extent and in those situations Nintendo made less money. @Jazzer94 The Action Replay was the worst thing for DS online. (I wouldn't use wep though so it made very little difference to me). If they were such good samaritans, they'd approach Nintendo and let them know what they've found. Given the state of the Virtual Console and Nintendo's lackluster support of it, I'd be all for emulators. Running games I have on cart, of course, but it'd be a hoot. @Geonjaha I think piracy does play a role in a products sale. What @unrandomsam said does have meaning. On the Wii, the games that sold the most were usually the ones that were pirated the most. Part of why that happens is because modders / hackers tend to buy the game after they pirate it because they wan't to get deep into the disk's content rather than a tampered version from online. Plus, they'd want to make a backup incase they lose the disk. Surprisingly, pirates are usually the ones who end up spending the most. Here's some videos on piracy, but not directly on video games. There is no difference between a digital copy and the disk and if someone can find it tampered with they can also find it pristine. What does "deep inside the disk's content" mean to you? There are many gray areas in piracy but I don't understand what you are saying here. These two seem to have some integrity, but if others know that it is possible to exploit MK8, they may take a harder look at it. If they find it, then it'll be up to the "rediscoverers's" discretion on divulgence of the exploit. I just played the "Big Fish" Beach (whatever it is called). 10 sec after the game, I saw a player went off track, and the game suddenly ended 2 sec afterwards... That was frustrating. @GeminiSaint Nintendo already knows that is why it doesn't work past some ancient firmware version. I know this currently works only on legacy(older) firmware/software, but I think if they release videos of what they can do, even w/o methods of how they done whatever, it not only encourages others to try to accomplish the same, or (go) further w/ it, but also allows, in some cases, discerning programmers to see what affects what in-game, by altering thus, & so in the game's code, &/or in the system's os(operating system). Point being, in some cases just visuals alone can allow for discerning programmers to reverse-engineer the methods used to hack/mod. Sadly, I anticipate Nintendo will get lax w/ security in the waning years of WU/3ds, like how during the last couple years of the Wii's life were considered by most, including myself, to be relatively unsupported by Nintendo, in terms of not many game releases. I just got a MK8 WU a few weeks ago(edit: been having a lot of fun w/ it), & I really hope that Nintendo clamps down on their (current, & future) systems' security flaws. I never wanted MKW in my library, b/c of hackers/modders. So there was 1 less sale for Nintendo, b/c they didn't fix the problem of unfair online multiplayer. I'm sure I'm not the only one who never purchased MKW due to this. I want to continue enjoying MK8's online component, & I hope to do the same for Smash(edit 2: upon its release). Already been stated in these comments, but weeds grow right next to the flowers; Exploits can't be released to the net at large, since once it's out there, it's out there to both fun-wreckers, & responsible modders/hackers having fun that doesn't ruin anything for anyone else. It's good that they're being responsible with their stuff, and to be honest, I'm really relieved to know that they thought this through. But one problem remains: this exploit existed, and if there's one exploit, chances are that others will be found. I won't hold these two responsible for that, but I fear that the discovery of this exploit alone fired up enough hackers to slowly break through the WiiU. And once it's done, everything will be ruined, one thing after the other, starting with online play. Game shark, game genie... In some ways beta quest on Zelda 64 (and levitating) was so magical and mysterious. It seemed to reveal all possibilities, such as actually seeking the Triforce. For Smash on Wii, it lead to a whole realm of creative community that was, admittedly, very exhilarating to approach, however late in the game I may have wandered in. However, I do agree with the majority that an online competitive community should not be corrupted in such a way, and especially not so close to the release of the game. MK8 is thriving, balanced, and rewarding to those who are skilled enough to win. That's what competition is all about! Breaking into the Wii U is likely inevitable, but perhaps it will come at a time when there are no more system updates, Mario Kart 8 is considered retro, and everyone is focused on the latest and greatest Nintendo console. I have been hacking consoles like GBA, PSP, NDS etc. And have enjoyed 100s of pirated games on each one of those consoles. This generation has no real hacks for the mainstream user so I have bought all my games on the Wii U & 3DS. And the games actually becomes more enjoyable when you buy them! Great. Doesn't anyone remember MKW hackers online? Absolutely miserable that was. Now thanks to these guys it will happen all over again. I hope they release it eventually. They are not releasing the exploit! The exploit was on an old firmware! The online play will not be corrupted. And if it does, Nintendo needs to put other measures in place. Such as the ability to boot cheaters. As for "piracy" I would bet that R4 cards sold more DS hardware than any one game! Actually, what really annoyed me about R4 cards is that a lot of kids got them from their parents, having no idea every game on there was illegal. In any case, it's difficult to show that piracy actually hurts sales much, since every pirated game does not equal a lost sale. The DS games I pirated, I never would have bought, either because they were only released in Japan or they weren't very good. It's good that they are being resbonsible and not letting anyone use it so no one cheats or anything else, but knowing that they've done it means that other people - possibly less responsible ones - could eventually achieve the same thing and do the exact opposite, cheating, pirating and distributing it so everyone else can. But for now, we're all safe. There is nothing wrong with tinkering with something you pay for. I never liked the term 'hacking' for something that we have had in the language for eons: 'Breaking and Entering', you get into a site and grab a bunch of email addresses, that might involve hacking; but the crime is 'Breaking and Entering'. Many of the technologies and the security we do have in the internet is made possible by the freedom of information. If you find an exploit, if anything the company running the game should know; and if they don't do anything about it; it should be shared. Why? Because a game exploit can lead to other exploits that can be more dangerous. A responsible company accepts submissions of this nature. While I think these mods are cool, I also think the exploit should be disclosed to Nintendo. @unrandomsam - I never said what I thought mattered on the subject; I said what Nintendo knew and thought mattered because it is their company and their product. They know better than anyone else whether piracy is benefitting them or not, and they're trying to stop pirating of their system. Kudos to them for not sharing the method. @unrandomsam Even your "data" can be flawed. There is no concrete data that piracy pushes sales. And why would it? honestly Im irritated that most of the people here seem to think that hacking refers to "exploiting software weaknesses to hurt others and/or help themselves." I suggest you all look up what a white hat hacker is and see how they help. Also modding smash bros brawl increased the playtime of the game by SOO much for me, in the form of project M. And Project M (usually) cannot be played without a legal copy of the game. @WaLzgi There could be a connection between piracy and rising sales. I think it can happen, but barely. It's such a small sales push for video games that it doesn't really help a big name company such as Nintendo, but it might help indie developers by spreading the word about their game. Piracy tends to work well for music and I'm not sure why it works so favorably for it instead of video games. By the way, I'm not good at making these kind of comments, but I hope I typed it out in a manner that's understandable. Whether Nintendo will want to benefit from this is another thing entirely. or 50 million buying an average of 20? I just hope that Nintendo can disconnect anyone trying to connect to the servers with a lower firmware than the latest iteration. That way as long as there is no way to use the mods/cheats with the latest firmware the online should be cheat free. If this ever gets out I hope they are able to keep it all on their custom servers away from Nintendo's official online. Imagine if they had released it? The Wii U would be getting a lot more updates and increasing its stability! Hmm, interesting, I've never heard of this hacking duo..
"They know better than anyone else whether piracy is benefitting them or not, and they're trying to stop pirating of their system"
One in favour of the argument that piracy increases sales could justify Nintendo's actions as maintaining its public image to appease third party concerns. If Nintendo made no efforts to curtail piracy, this would not reflect well on the company in all circles (what with the amount of publishers and developers that spoke out on the issue last generation). Its action or lack of action in that regard cannot be used as evidence to support either side, I feel, as there is still ample reason for a company that "knows" piracy is worthwhile not to wholly embrace it. By designing architecture strong enough to keep activity at bay for the early portion of a generation and then appearing to combat piracy for the remainder (however poorly that may be done), it can reap the benefits of both groups with far lesser repercussions. This option represents the least risk, in fact. I have no love for hackers or the hacking community. At all. Glad they're not sharing it, there were so many hackers on Wii I ended up not being bothered if I won or lost. However since there was less hackers on 7, I played properly which made hackers really infuriating, especially those people who fall off a cliff and are instantly back on the track. I hate the word hackers. It has too much negative connotations. There are modders and there are cheaters. Modders add content to a game and fix its shortcomings, whereas the cheaters ruin the experience for everyone else. I have hacked Brawl and MKW. It started off as me wanting to fix tripping, but then it became more and more amazing as I started to add my own stages, courses, music, animations, and characters. It was awesome to be able to customize the games how I liked them. However I would never become a FTW hacker. Cheating to win a race is just pathetic. I just get upset when people can't distinguish the difference between the different kinds of hackers and lump them all into something evil. These two are legends that took a great game (MKW) and found a way to make it even better. @unrandomsam Regardless if piracy is good or bad for console sales, it's a bad idea for Nintendo to let piracy slip past them at this point, since the Wii U and 3DS are being sold at a loss and Nintendo is relying on game sales to turn up a profit. If most people pirated games for their Wii U's, Nintendo would be losing money. @unrandomsam You have no clue what you're talking about. Margins on the consoles themselves are very low if existent at all. Nobody wants those people as customers. It's lost profit. So no, any hacking isn't good, even if these guy's hearts are in the right place, this always turns into piracy. Don't forget that console sales aren't the only thing that matter. Of course they help, maybe the boost in console sales could be a huge difference; but third-parties developing on WiiU want profit, and I don't think increased hardware sales give them that (directly). Feel free to correct me if I'm wrong on that. @PieEater163 I'm pretty sure that's not hacking, but graphics lag. @Jazzer94 Not piracy...cheating as in multilayer.